Published 06/10/2018 at 800 × 403 in Photo Gallery. Fundraising for the P.U.S.H. 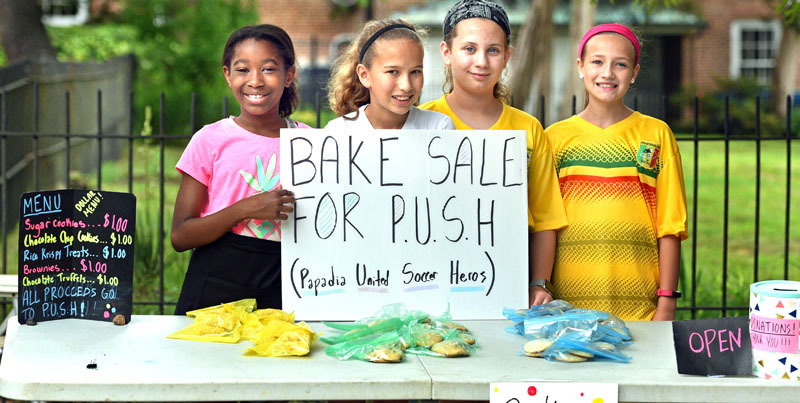 team, “Papadia United Soccer Heroes,” a non- profit organization that sponsors a youth soccer club for boys and girls ages 7 to 17 for soccer equipment shiping to Bamako, Mali in West Africa. in Bamako, Mali, West Africa. (l-r) Awa Dia, Isla Wearmouth, Alexis Krug, Morgan Smith.